We understand that you bought the theme because you liked how it looked in the demo. Even though we have made our theme as easy to use as possible, sometimes things can get tricky, especially if you are new to WordPress. So, leave the hassle of installing the theme and making it look like the demo for us. This service is valid for one website. You need to provide us with the login details of your WordPress website. The service will start after you provide us with the required details to your website and will be completed within 24 hrs excluding weekends and holidays. Make the payment via Credit Card or Paypal. After you make the payment, fill up the form given below. Once you have submitted the form with all the required details, we will complete the service within 24 hours on the working days. Your favorite Blossom Themes’ theme installation. You need to purchase the theme separately. Demo Content Installation (Including Pages, Widgets, and other settings). Demo Images that you can use on your website. 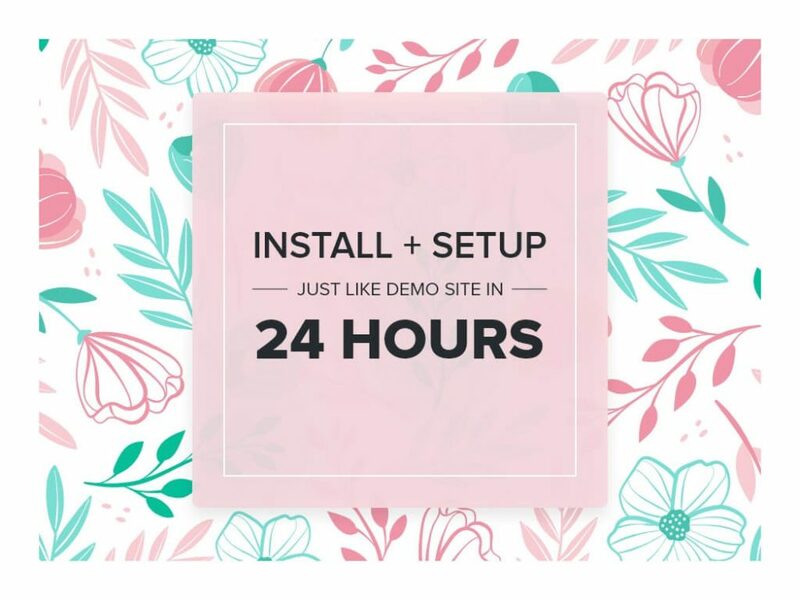 We’ll make sure your website looks exactly like the demo. Essential Plugin Installation except those required for making the theme look like the demo. Please purchase this service and fill in the form below. Our team will install the theme and setup your website within 24 hours. Please use the email address that you used when purchasing this service. If you want to show your Instagram profile, please include your Instagram username. I acknowledge that I have made the payment of $99 for this service and want to proceed further.